Home » Vegan Paleo BBQ Meatballs + Win a Vitamix 5200! Vegan Paleo BBQ Meatballs + Win a Vitamix 5200! 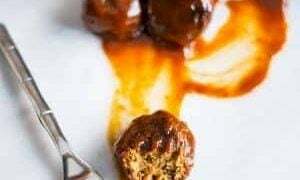 Delicious paleo vegan bbq meatballs are an easy comfort food that is perfect as an appetizer or a main dish! No tofu, soy, or grains- just lots of veggies and whole foods! I love finding fresh, delicious ways to re-make some of my favorite foods – reducing calories, fat, and even making them gluten/grain free, or vegan! It’s not always easy to come up with a way to create a meaty flavor or a good texture from vegetables – and I really didn’t think I’d be able to without using grains to bind the meatballs– but I am so pleased with how great these turned out! 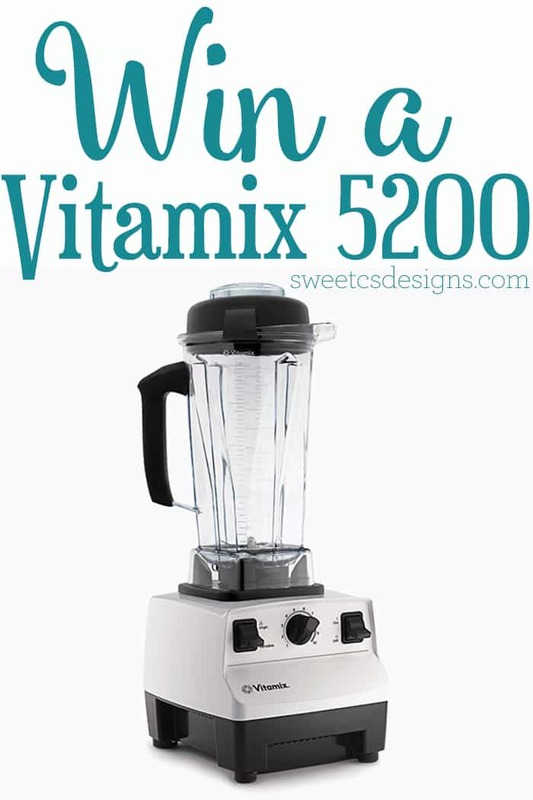 And- to make this recipe even tastier– I am teaming up with Vitamix to give YOU a 5200 blender so you can make your own! Eating fresh, healthy food is a lot easier with the right tools- and my Vitamix makes eating healthy foods super simple! It can be used as a blender for smoothies or soups, as a food processor, or even as a grain mill! It is also awesome for making homemade nut butters! And I am so excited to give a brand new Vitamix 5200 to a lucky reader! 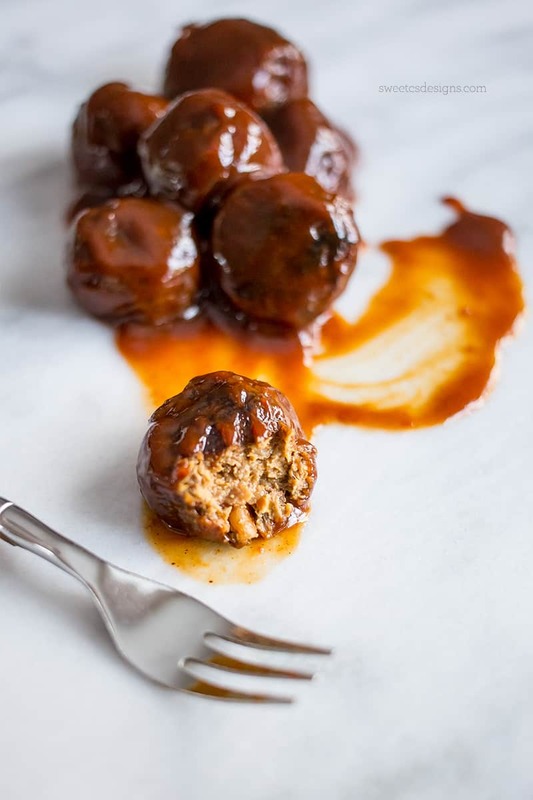 Be sure to scroll down to enter and win- after this delicious meat-free, grain-free, totally fresh and delicious Paleo Vegan BBQ Meatball recipe! These are such an easy, delicious comfort food that you don’t have to feel bad about! 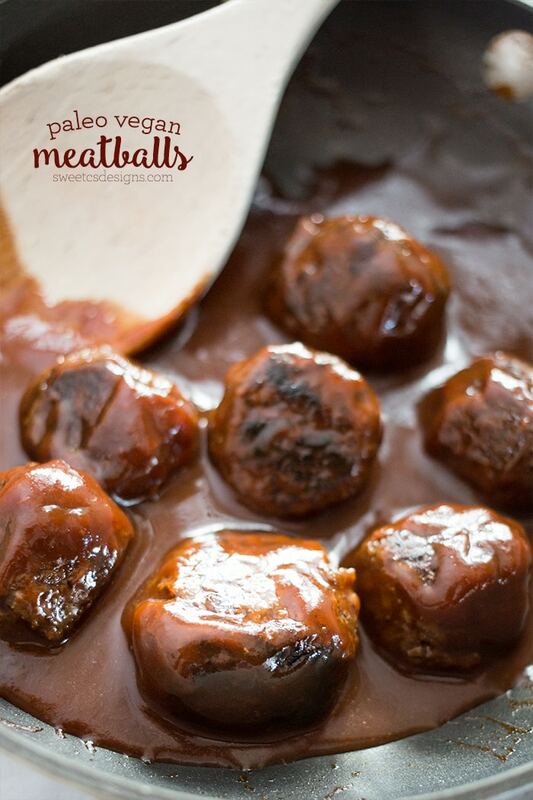 You can also pre-cook them and freeze these meatballs ahead of time- and make them in big batches! This way, you can pull a few out at a time to have a perfectly portioned appetizer or dinner, so you can reach for a great whole-food instead of quick go-to processed foods! I’m sharing another great take with these meatballs soon- so stay tuned! The trick to this recipe is the perfect texture- and a good method. For our meatball texture, we want a finely ground base- but not overly ground (or it will turn to soup!!). 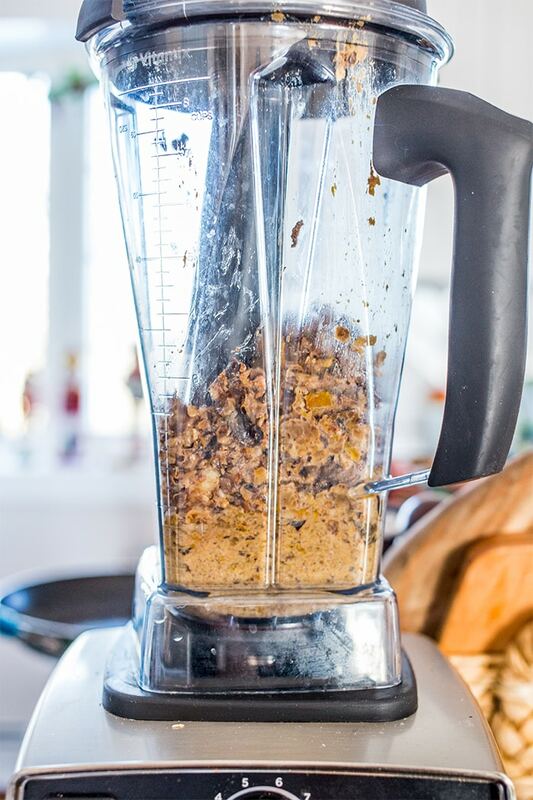 In many blenders, this would be tough- but the Vitamix allows you to use a tamper to stir your ingredients right there in the blender for the right texture! Pulse on a low setting and stir well while blending to keep the food moving and prevent it from liquifying. Also, after testing a few ways to make these meatballs- I can say NOT to cook these on foil (as pictured). 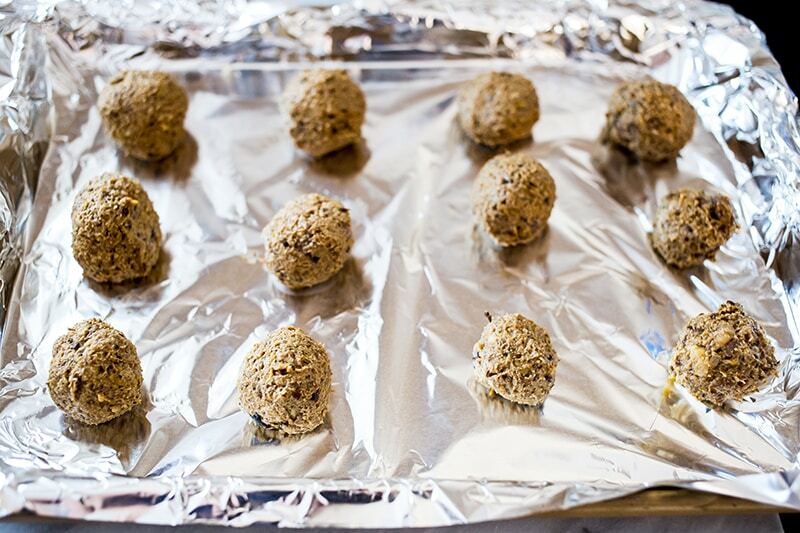 Use parchment paper instead- the soft texture of these meatballs will stick to foil. 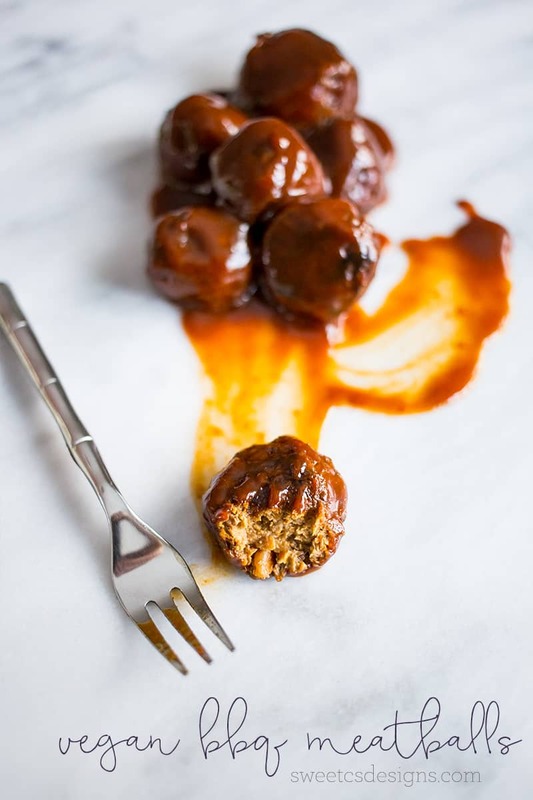 The meatball itself is a little fragile until sautéed (or frozen for future use) – so don’t manhandle them when sautéing! Set a baking sheet out with parchment paper and preheat oven to 350 degrees. In a large pan, heat grapeseed oil until shimmery. Add in diced bell pepper, eggplant, walnuts, and zucchini. Sautee until browned, about 15 minutes - stirring regularly to prevent burning. Add to vitamix blender with tamper and grind until soft- making sure to use tamper to stir mixture. It should be a small, soft texture but not liquified. Remove mixture from blender and put into a large bowl. Take 1/4 cup mixture and roll into a tightly packed ball. Continue rolling balls until you've made them all. Bake at 350 degrees for 20 minutes, until a deep brown. This step helps the meatballs "set", so don't skip it! At this point, you can remove your meatballs and freeze them for another use. 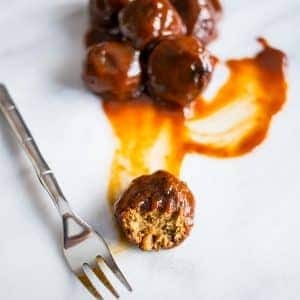 If eating immediately, place meatballs in a pan with a drizzle of grapeseed oil over medium heat. Brown on all sides, about 8 minutes. Add bbq sauce, stir well. Let sauce heat up- about 2 minutes. How awesome is this chance to win a brand new Vitamix 5200? This blender is amazing- it works as a food processor, a grain blender, a soup maker- and so much more! hello, I do not have A vitamix, could I use my Ninja instead? Of course, Terra! I used my vitamix but any blender will work. You mentioned peeling the eggplant but do I also need to peel the zucchini? Or do I keep the zucchini skin on? Thanks! I keep zucchini skin on- it gives a deeper color and isn’t tough like eggplant’s can be. That being said, you can remove it if you like! The addition of the walnuts is not in the recipe. When do they go in?